Only when people work as a team can they produce the exceptional results, which ensure Flying Tiger continues to win both on and off the track. 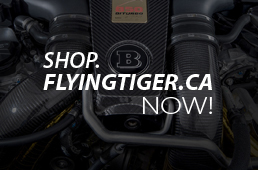 Flying Tiger is one of North America’s most successful multi-disciplined motorsport companies, winning dozens of races, including two Rally titles, and two Touring Car Championships and one Solo Championship. Find out about Flying Tiger’s illustrious history and its achievements in racing and rallying. See the latest news and for the media, download the latest press releases and copyright-free high-resolution images. There is no doubt about it. Anyone who can win dozens of races within a 20 years period has a lot to offer in terms of performance. Over long distance too. Eddy Lai and his team has created cars that he had driven to race and championship wins in Solo, Rallies, Endurance and Sprint racing. Development work by AMG is so sophisticated and so exciting that it is shown regularly on television. So you can see how the AMG team’s enthusiasm put them repeatedly in pole position in one of the world’s toughest motor racing series, the ITC. At the same time the ITC is also a useful extended-training course, since much of what AMG’s technicians and engineers know about high-performance sport has been learnt by winning races. Even though it is obviously highly enjoyable, AMG do not take part in motor racing just for fun. Because the knowledge gained from racing, and the innovations developed for it, ultimately benefit everyone who drives an AMG Mercedes. Hans Werner Aufrecht (A) and Erhard Melcher (M) found their company in Grossbach (G): An “Engineering Bureau for the Design and Testing of Racing Engines” as it says in the official records. Address: The Old Mill. Eddy Lai tasted go-kart racing at a tender age. 1971 AMG’s tasted first major success on the track. In a real turn-up for the books, the AMG Mercedes 300 SEL 6.9 driven by Hans Heyer and Clemens Schickendanz wins its class at the Spa 24 hours, finishing overall second. Eddy hang out at his brother’s tuning shop in Hong Kong. 1978 The Old Mill has become too small for the company that now boasts customers all over the world. AMG and its 40 staff move to Affalterbach. Eddy hones his technical skill at Centennial College. 1981 The Lai brothers of Ricky and Eddy found their first automotive business in Markham, Ontario, Canada. The business was originally only serving all makes of vehicles. With Ricky’s years of experience in high performance automobile modification and racing background in Hong Kong, they started to concentrate on performance tuning and importing brand named products of elite tuners such as AMG. Eddy also started his racing career by taking lessons at the famous Jim Russell Racing School. The Lai brothers’ has double the size of their business, with larger showrooms, a body shop and more sophisticated service & tuning facilities. Their shop boasts to be the first one building full-blown AMG cars in Canada. An AMG 450SEL loaded with full AMG options available at the time, including Recaro seats and re-up host interior. Eddy had decided to continue learning in the battleground of Formula Ford racing. Plant No. 2 is inaugurated in Affalterbach – and it was high time, too: AMG takes on its 100th member of staff. The Lai’s family business expanded one more time; to triple it’s original size compare to when it was first started. The shop added a dedicated installation facility for assembly of tuner cars. This year the Lai brothers had signed a joint venture with Sony of Canada; which brought forth the first AMG show car in Canada. The cars were displayed in various shows and tested by major automotive publications nation wide. 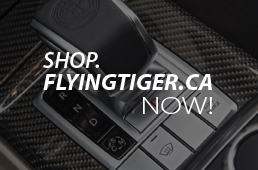 Generating the trend in Canada of Euro exotic tuning companies crossing the Atlantic. After years’ of practicing and months of negotiation, Ricky and Eddy were appointed by AMG as the only official dealer in Canada, it has finally becomes reality. A comprehensive dealership network was then established. This year the remarkable AMG Hammer (6.0 Litre V-8 300E) and the Baby Hammer (3.2 Litre 6-cylinder 190E) make their debut in the Canadian market under the name AMG of Canada. Welcome back to the track: AMG enters the German Touring Car Championship (DTM) as partner to Daimler-Benz. Experience paid off by bringing the Canadian Solo 1 driver’s Championship and 2nd overall in the Ontario Road Race Championship to Eddy Lai. He has since continued every year of his technical updates and training in Europe. Plant No. 3 opens for business in Affalterbach – again not before time: AMG now has a staff of 400 – and a joint venture agreement with Daimler-Benz that extends beyond a shared commitment to motor sport. Ricky had foreseen the global recession and moved the AMG Canada headquarters to Vancouver, BC. Where Asian Pacific business continues to prosper. Eddy remained in Ontario to run a smaller facility to serve the reducing business demand and further success in his racing career. AMG driver Klaus Ludwig takes the German Touring Car Championship. Back in Affalterbach, the work force prepares a great reception for its champion driver and the entire motor sport department. Various car clubs invite Eddy to be driving instructor. The first product of the joint venture agreement hits the market: the Mercedes C 36 AMG. On account of its widespread familiarity, the German Patent Office registers the name “AMG” as a trademark. Once again, AMG fields the champion driver in the German Touring Car Championships and once again it is Klaus Ludwig. Back in Affalterbach, another reception awaits the team. AMG fields the champion driver for the third time in the history of the DTM, as well as taking the little in the first ever International Touring Car (ITC) series. Champion twice over is Bernd Schneider. Ricky and Eddy have once again joined hands in their business. They were serving the entire Canada region and American North-West from their hi-tech facility in Vancouver. 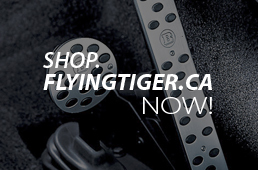 Supported by Mercedes-Benz Canada, Eddy established Flying Tiger Development. Flying Tiger was the first racing team in Canada using Mercedes-Benz vehicle. Flying Tiger also converted and developed custom built Mercedes cars. Eddy experienced his first rally by being on the podium in 3d place. The Thunderbird Rally soon became Eddy’s favourite event winning the next two years. Eddy clinch his first rally championship. AMG celebrates one production milestone after another: 5000 units of the C 36 AMG, 2000 units of the E 50 AMG. Developed and built by AMG in the space of just 128 days, the Mercedes CLK-GTR makes a successful debut in the new FIA GT Championship. A whole string of AMG Mercedes is now being manufactured in Vancouver, Canada and distributed throughout North America by the Lai brothers. Orders from Toronto, New York, Washington DC, Florida, Texas, California and Oregon are now received constantly. The AMG C- Class with C36 look, the AMG E-Class with E50 look, the AMG SL500 with the SL60 look, and the AMG SLK are now being assembled and sold in the Mercedes showrooms. Eddy Lai is now also a 2 time Canadian West Coast Rally Champion. Eddy’s racing career hit another milestone by winning the ICSCC Championship driving a Mercedes-Benz. This goes in the record book for a Chinese driver. Winning 3 out of 8 races, and top three in four more races. 1999 Eddy placed 2nd in the championship from a reduced team budget. While competitors has improved their performance. 2003 Ricky has announced his retirement. Eddy carry-on the torch by building a specialized shop in Richmond, B.C., Canada. 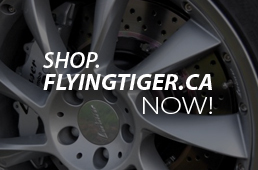 A restructured Flying Tiger business divide into specialty vehicle storage, parts and accessories warehousing, wholesale and retail, personalized and race car engineering. Welcomes the Smart cars into Canada. This becomes an immediate hit for this very unique Micro Compact Car. Flying Tiger provide a host of parts and accessories for personalization. 2005 Flying Tiger customized a series of Smart car with Brabus products. Brabus is the factory-authorized tuner for Smart in Europe. While AMG products are for Mercedes-Benz tuning. Flying Tiger tuned the first B200 Turbo in Canada. The Flying Tiger developed Sport Compact Tourer boast with tasteful body styling kit, 18” AMG alloy wheels, sport tuned suspension, performance exhaust, and re- written engine software. Providing nearly 250 hp for a low power to weight ratio. A new website was born in November. 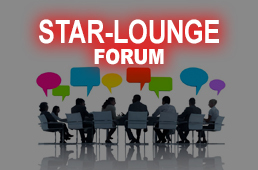 www.star-lounge.ca is a place where Mercedes enthusiast can gather information and chat on their favourite models and topics. A motorsport museum under-construction next to home of Flying Tiger Development. When complete, the racing career of Eddy Lai will be on display. An all round driver that capable on winning road races and rally championships. This will be a private exhibition only. European Smart tuners assign Flying Tiger Development as sole agent.